Every now and then, a new personal obsession springs up, sartorially, and I find myself only looking to fulfill my obsession and become a hoarder. So for the past few months, I've had to walk past most stores with my view shrouded, lest I buy more capes and duster coats, floral ones in particular. I can't explain when exactly this began. It just started with two and now there's a ton of them in my wardrobe. What's so aesthetically pleasing about a cape is the kind of finesse it adds to an otherwise mostly mediocre outfit. It's the perfect piece to spruce up a plain old jeans and tee combination or even add character to a pretty but simple dress. Also, as a superhero fanatic, there's something very empowering in strutting around while having the cape flutter around behind me. So while I've tried so hard to not to feed in to my obsession, it's not worked too well and I think I have sort of a look going on now, with all the capes. Also my family has noticed and are sometimes a little too supportive, so they bring me more capes. Not that I'm complaining! 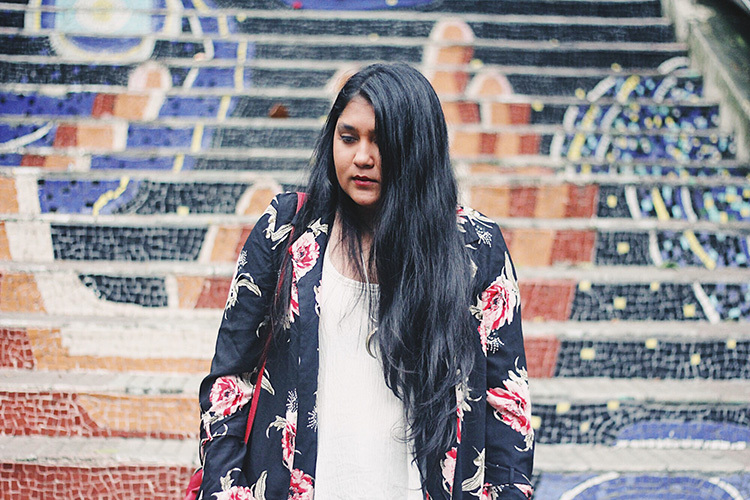 What's special in this outfit, apart from the floral cape, is that it's my favourite cape yet. Most of my capes are very colourful and vibrant as it should be, but this one has the most minimal amount of colour and is perfect for my almost monochrome days. While I do have solid colour capes as well, two of which are completely black, I still prefer this one with the roses over any other. In this instance, I paired it with almost basics, if you could call a cropped black elasticated trouser a basic. But I love how the look isn't too dressed up as well. 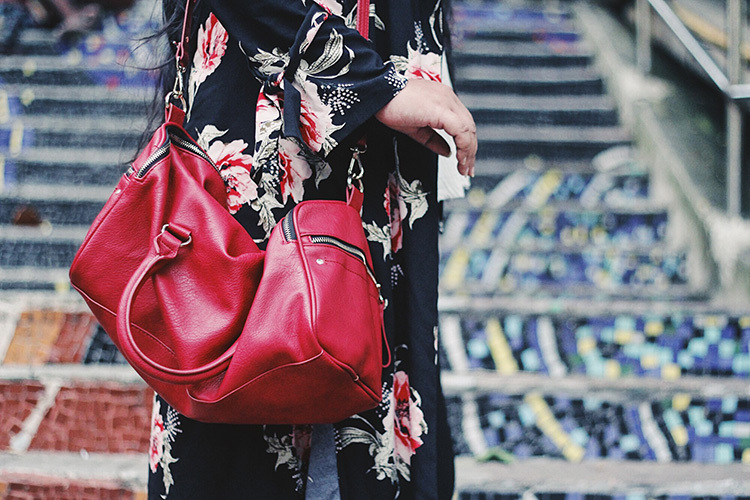 Sticking to the same colour palette, I used a red bag and wore my black sandals. Since I've also been wearing the most minimal amount of jewelry recently, I just wore a long chain (only because I couldn't find my choker.) Did this outfit manage to turn heads? Judging by the number of people that slowed down their pace while we shot here, I'd say yes, perhaps not in the way I was expecting. Are you also a fan of cute fluttering capes and need some floral cape inspiration for your outfit? Here's some of my favourite looks/pieces on Pinterest.